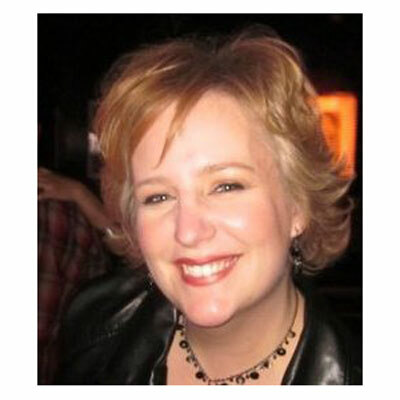 Stacy Desrosiers brings over 20 years of channel management and channel marketing expertise to her role as Director of Channel Marketing at Cirrus Data. Over the years, Stacy has led her own channel marketing consulting firm as well as held senior marketing and channel positions at a variety of technology companies including CTERA Networks, Nasuni, Compuware, Application Security Inc. (Acquired by Trustwave), Virtual Iron (acquired by Oracle) and Akorri Networks, Inc. (acquired by NetApp). Stacy also serves on the Board of Advisors for Channeltivity, a leading Partner Relationship Management (PRM) solution. In 2015, Stacy was named a Channel Chief by CRN and is a noted "Women of the Channel." Stacy joined the organization in 2016 and quickly developed the Data Migration Accelerator Partner Program to further define and engage with partners around the world. During the past year, she has focused a large amount of her time working to drive additional partnerships with key OEMs and their top channel partners. Through this strategy, Cirrus has been able to drive more momentum in the market and be recognized as the leading data migration solution for enterprises and service providers. Her knowledge of the channel and how to generate market traction has enabled the company to see outstanding growth over the last two years. In 2018, Cirrus will continue to grow the channel and drive more high-margin data migration services opportunities with our partners. With additional training options, collaborative selling, incentive programs and joint marketing initiatives to support this growth, we look toward a very profitable year ahead. Princess Diana of Wales. Princess Diana knew that in her role as Princess she could be an example to others as she served her community, especially those that were downtrodden and sick. Each day, I look for ways to serve my community just as she did and lift up those that feel they have no hope. By showing others a way to improve their lives or simply be a shoulder to cry on, I feel that my small efforts can one day make a big improvement in my community. Always be on the lookout for mentors. Whether they be women or men, having strong mentors in your life will give you an opportunity to better understand the world, the opportunities that lay before you, and to have connections in all facets of life that can propel you forward at whatever stage you are at in life. I have been in the channel for many years and I strive to make sure I am on top of the latest technologies and channel best practices. And while not a specific skill, the importance of understanding how technology can better support my partners drive more business and more revenue is key. The channel is constantly changing and evolving so we all must be ready to capitalize on those changes to be successful in the future. Educating ourselves and each other is essential and something I seek out daily. Better Than Before by Gretchen Rubin. We all have habits that may hold us back, may be harmful, or we just need to change in general. In this book, the author uses various strategies to help us understand what our habits are and more importantly how to develop habits that will drive us toward more success in the futurewhether it relates to business, health, relationships, or just achieving true happiness each and every day.